Free until Sept 3, 2015! 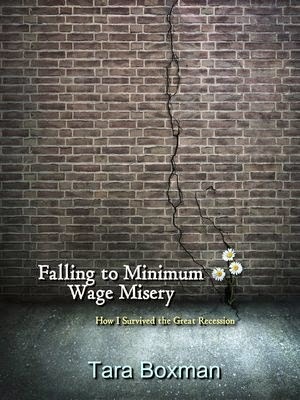 This is a story about one woman's struggle to survive during the Great Recession. She once worked as a teacher overseas, and now she is working to reinvent herself as a counselor. Unable to find a job as a teacher in a new state, and unable to finish her degree in counseling. She feels like she is in a dark trap in a small town with no jobs as the economy slows down. Bills coming due she must find work that she has not had in years at minimum wage. Without a car she must ride a bicycle to a minimum wage job in all sorts of weather conditions. Digging deep within, she finds meaning in this demeaning state. She struggles to fit in with her co-workers who lack the education she has, while barely hanging on to hope. It is a thematic study of the culture of poverty as she lives this life day to day. She notices the contrast in the way of life, the manner of thinking, and the goals of life in those who have given up trying to escape poverty. As she works her way out of the net of paucity herself, she finds that she has changed as well.